You did it! You made it through the wormhole into the Light. There is great rejoicing in the celestial realms as you now enter the new time of Awakening Light. Revel in it. Rejoice in the Light! This is the time when those in the northern hemispheres are basking in more Light than you have ever experienced. Those in the southern hemisphere are also basking in waves of Divine Light streaming from the spiritual realms, even though it is less apparent in their outer world. So rejoice and again we say rejoice! Use this time! “Make hay while the sun shines!” so says the old farmer’s expression, and it applies to this time in which you live as well. Forward movement is at last upon you and there is great expansiveness in the planetary realms that support your ascension. Like racehorses at the starting gate, you have been gathering energy all year for this time of movement. With very few exceptions, all are feeling the momentum of great change. Those of you who have been diligently applying yourself to new visions, clarifying your dreams and creating the framework for the new foundations you want in your life, will find your efforts rewarded in this coming time period. The next season, from the Solstice on June 21 to the Equinox on September 21, will give you a preview of the new realities you have been creating on an inner level. Like the proverbial stars that you are, some of you will be bursting like comets through the skies, blazing the trails for those that follow. Many are feeling a calling within your hearts for new work that fulfills the stirrings of your Soul. This will be your time to bring it forward. You will find your pathways have been opened so your momentum will feel more graceful. Great gratitude abounds in the heavenly realms for the power of the work that you have already accomplished. Of course there is more, yet know that since the Solstice on December 21, 2012, you have alleviated many old patterns from the way you will now be working. Be very clear about the fact that the energies in which you are now living are very different from those before the end of the infamous 2012 year. There is no need to bring any of the control issues, doubts or past history into your new foundations. They are no longer relevant and will only serve to release those chaotic monkeys into the works of your new life. Much of the extreme chaos you perceive comes from dragging those old patterns of thinking, doing and relating into the new reality that is here for you. As we have said many times, and the masters of the ages have encouraged, there is only the present moment in which to immerse your true being and manifest the reality you desire. As the power from the Realms of Awakening continues to escalate, you are in an Initiation of Light that will be activated on the Solstice, June 21. This is your time to become aware of the deepest impressions from your Soul where your gifts, talents and the skills you were born with have been housed. On the Solstice activate and empower them, then release these offerings from your Soul to the pure expansive Light of God, Goddess, All That Is. Imagine that you are holding these dreams, the purest desires of your Soul, in the power of this light activation and raising them up to be Beacons of Light. These are the beacons by which the Universal Presence is attracted: the strength of your empowered desires, the love that enriched the longings of your soul and the pure joy in which you fling them out of your heart to the embrace of the Beloved. The exuberance and purity of this action allows a new form of Light Radiation to act on your behalf. You are creating this Beacon of Light to remind and inspire you of your true desires so they can attract the support of a loving Universe. Know that there is a Divine Presence that adores you and is willing to give to you whatever you have focused on and brought forth from the deepest recesses of your heart to be fulfilled. It is the power of your attention that activates your Beacon of Light. This is a Visionary Practice and you, Dear Ones, are the visionaries of a new world. You are the ones who are clearing the way for others to not only follow, but to be inspired to the heights of their greatest expression as well. When you let this Divine Light, so expansive and radiant now, permeate through you into every cell and fiber of your physical, mental, and emotional bodies, you are setting free the true expression of your Soul into action. All your activity now is to be inspired from this place. There is nothing to figure out or to think into dull boringness, when it is pure heart-soaring inspiration from within you that is being called into action. As we move toward the Solstice, let the power of this Divine Light, the greatest manifestation of Light that you have ever experienced, expand and fill you to the fullest capacity of your being — and then beyond that into your greatest imaginings. Perhaps then you will have the tiniest inkling of the sweetest Love and empowering Light being offered to you from the Realms of Awakening. These Realms of Awakening Light are responding to the call of your Soul. You are loved beyond the greatest understandings of your mind. Only a clear willingness and the opening of your heart will allow it into your being so the fullest expression of who you are can be present now in this new world. Experience the Light. Breathe in Light. Be Light. And so it is. Permission to use this post is given as long as it is used in its entirety and credit is given to the author(s)with the website name. Experience the fullness of your being and a deep abiding connection to your most Divine Self through this guided meditation with Shanta Gabriel. When you open to receive Divine Light within and through you, it allows a powerful force of energy to be anchored in the Earth for your own evolution and for your world. This meditation is an activation that floods your being with Divine Light, which carries the intelligence and love of God, to spark every cell in your body with higher frequencies. As you experience a connection to your most Divine Self, you are surrounded in a protective cocoon of Light that you can reactivate throughout the day. In a soothing grace-filled way, Shanta creates a high vibrational space and a process that you can use again and again to activate your next steps, and empower your life. This meditation, with background music by Thaddeus, is 18 minutes. To help support your evolution during this powerful time, we are making this meditation available for listening online for free. Thank you, Shanta Gabriel and AA Gabriel for this beautiful, uplifting message! The meditation was so divine and serene and powerful, I am feeling truly sparkly after it. I am looking forward repeating the meditation and visualization on the Solstice. 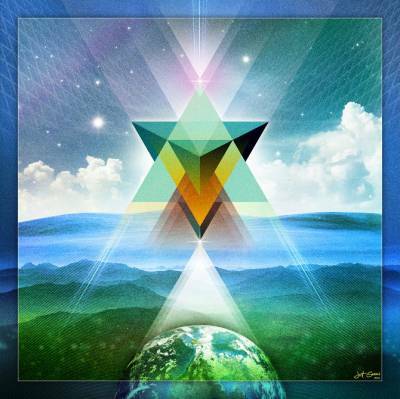 The Awakening and Anchoring Light Meditation mp3 is also available for purchase here.